Saturday, July 16 marked the Third Annual Ford Scholar Alumni Summer Get-Together. Twenty-three Ford Scholarship Alumni came together for this year’s gathering in Gleneden Beach, along the Oregon Coast. Alumni from the Ford Scholar, Ford Opportunity and Ford ReStart programs attended, along with family and friends. The event was planned in conjunction with the Ford Scholars Leadership Conference at Salishan Resort for the classes of 2013, 2014 and 2015. The few drops of rain that hit the ground as alumni pulled into the parking lot stopped just in time for the start of the beach cleanup. 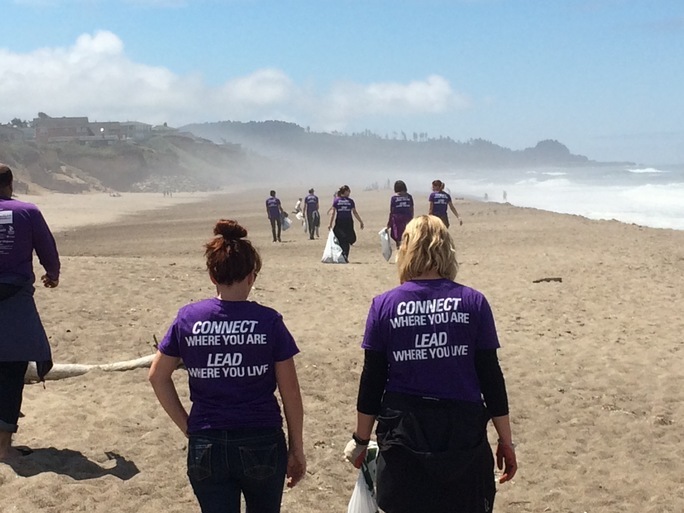 Alumni and their families cleaned 96 pounds of trash from the beach at the Gleneden Beach State Wayside Park. An afternoon potluck filled the stomachs of the hungry beach goers while family and friends enjoyed a variety of yard games. The day came to an end with a social networking gathering at the Salishan Resort Council House, where current Scholars had an opportunity to mingle with alumni, ask questions about life after college, and get tips on their future careers. Holli Howard-Carpenter said the event was a great way to reconnect with alumni while also helping out in the community. She is a Ford Scholar from the Class of 2000 and now works at Western Oregon University, in Monmouth. Her favorite part of the event was the meet and greet because she got to meet Scholars who attend her university. “It’s nice to know I have a Ford community right on my campus, and I am looking forward to making myself accessible as a mentor to them,” Howard-Carpenter said. Harriet Hedgcoth, a Ford ReStart Scholar from the Class of 2006 who lives in Albany, had the unique opportunity of getting to visit with her daughter (a current Ford Scholar) at the meet and greet! “This event reminded me what Ford Family has contributed to my success in school and beyond,” Hedgcoth said. Be sure to attend the Fourth Annual Ford Scholar Alumni Summer Gathering in Sunriver on July 29, 2017. You won’t want to miss it! 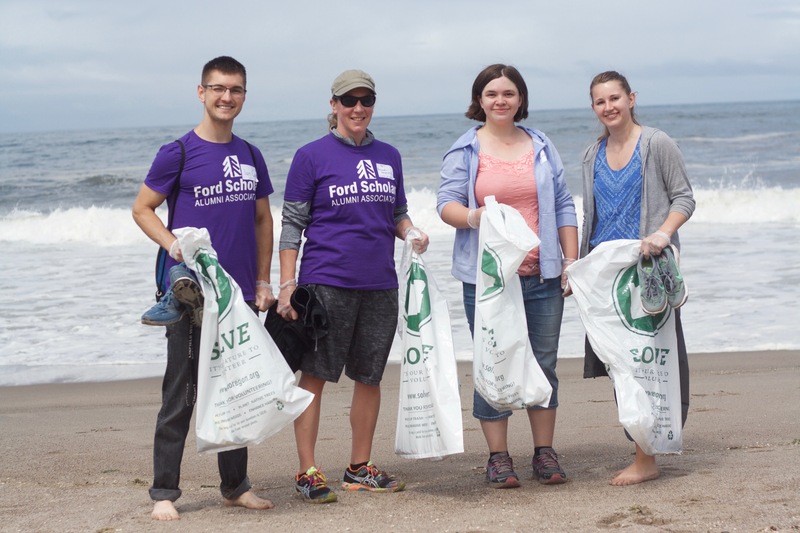 Class of 2011 Ford Scholar Ian Cox, left, Class of 2000 Ford Scholar Holli Howard-Carpenter, Class of 2011 Ford Scholar Reina Morgan, and Reina’s friend Amber Crigger helped other Ford Alumni and friends clean up 96 pounds of trash from Gleneden Beach during a community service project on July 16.